Inside Cover Map - Click on map for higher resolution image. 1. 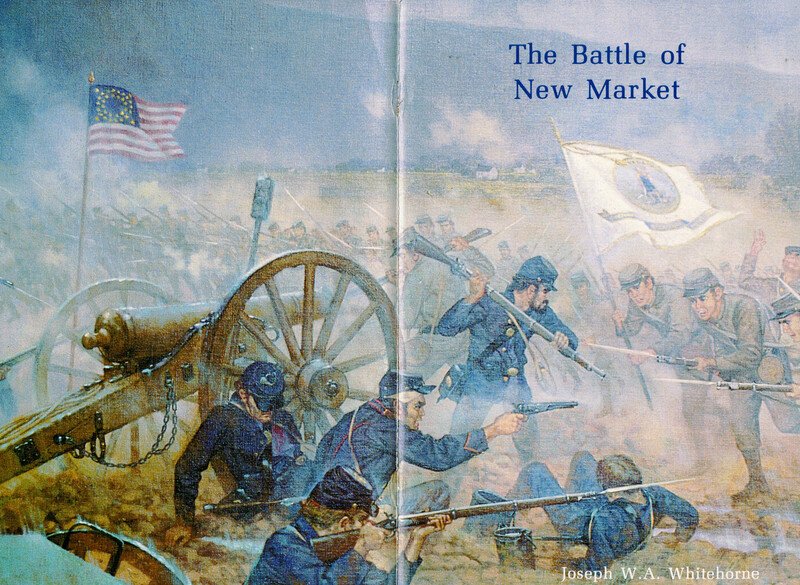 New Market, Battle of, 1864. 2. Historic sites Virginia-New Market Region-Guide-books. 3. New Market Region (Va.)-Description and travel-Guide-books. Illustrations [Not reproduced in this Internet format] unless fully identified under the photo are from the following sources: Edward R. Turner, The New Market Campaign, 1864, Richmond, Va.: Whittet & Sheppson, 1912; Francis T. Miller, The Photographic History of the Civil War, New York: Review of Reviews, 1911; John W. Wayland, Stonewall Jackson's Way, Verona, Va.: The McClure Printing Co., 1940; the National Archives and Records Administration (NARA); the Military History Institute; and the U.S. Military Academy. Maps were drawn by John R. Treibor. The visitor to this battlefield will learn that it has been preserved and developed in relatively recent times. It has, however, been an object of interest and reverence almost since the moment the battle ended. The participation of the Virginia Military Institute (VMI) cadets and the success of the other Virginia troops in defending their homes give the battle an added poignancy; the endurance, courage, and dedication of the Federals can be an equal source of pride. We of the profession of arms need places like this to renew our own dedication and to deepen our understanding and appreciation for our predecessors' skills as practitioners of the art and science of war. The military profession must continue to learn from the past to be ready for its future. In accordance with this need, the Center of Military History is producing a series of staff ride brochures, of which this is the first. 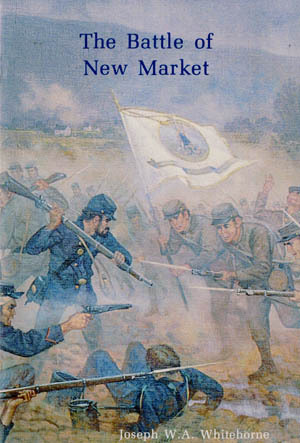 The Battle of New Market was the first of a series of engagement's place in the summer and fall of 1864 that destroyed Confederate power in the Shenandoah Valley. This first battle hardly presaged such an outcome. It was waged between two provisional field organizations hastily assembled by their respective commanders days before contact. Confederate success in the face of greater odds seemed to be a repetition of the days of Stonewall Jackson. Just as in those days of 1862, this was the result of able leadership characterized by a clear vision of the strategic and tactical situation, agility, and synchronization. The Federal defeat can be attributed to the reverse of these principles. Federal strength was frittered away in a series of doctrinaire decisions devoid of reality. Unit cohesiveness was disregarded, and forces were committed with little concept of the Federal objectives or the tactical situation. The battle may be summarized as a Federal movement to contact, Confederate defense and counterattack, and a hasty Federal withdrawal. Following a general briefing, this tour will go to twelve locations important to aspects of the battle. The first part of the tour will be by vehicle, while the remainder will be on foot. The approximately two miles of walking will be in the confines of the Virginia Military Institute battlefield park on roads and open field. Ground can be marshy in places after rain. Field glasses would be useful at several stops. The tour will conclude with a visit to the battlefield museum. Rarely has a battle demonstrated the virtues and defects of opposing commanders so clearly. The quality of the units on either side was never in question. Understanding the battles outcome provides valuable insight into leadership, cohesiveness, and the operational art. The following "Overview" should be read before taking the tour. Stops are keyed to the action described in the overview. Numbered stops are those made by car. "CR" indicates County Road. Stops with numbers and letters are optional additions to the motor phase of the tour. Stops with letters alone are those made walking on the battlefield. In the Overview names of Confederate personnel and units appear in italic type, Union personnel and units in regular type.